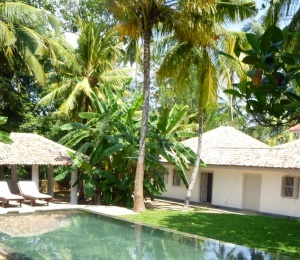 Villa Nellum is an exclusive and luxurious accommodation excellent for couples and honeymoon or even a family of surfers coming to discover the beautiful Weligama surfing area. The villa is right in middle of the surfing action just a few minutes walking form many beach breaks. Villa Nelum Surf House is located in Weligama which in our language refers to a "sandy village" best describing the remote scenery around. Not long ago this part of Sri Lanka used to be exclusively a fishing village. Nowadays, its beauty and natural resources, placed Weligama on the map, opening up to tourists from all over the world. Yet, one can still mingle among fishermen still using their old fishing techniques and other ancient traditions in daily life activities. It will not take you long to drive from Colombo and its International Airport to Weligama, around 2 hours. 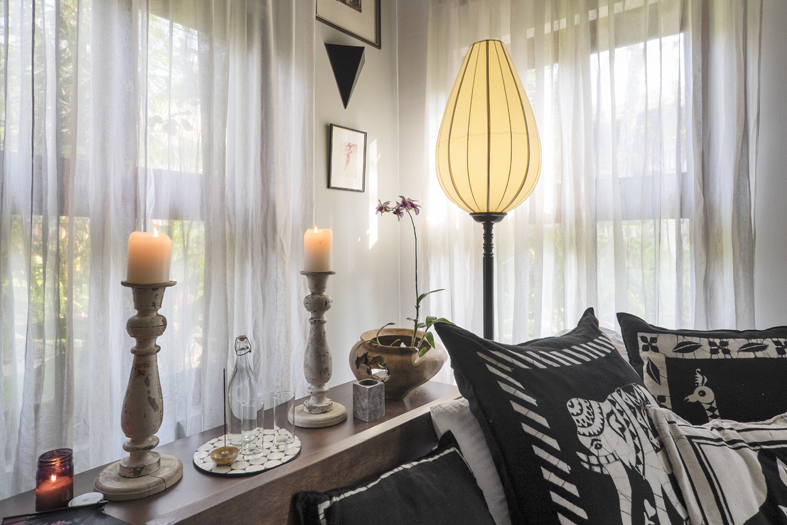 As soon as you arrive to Weligama, there's going to be a lot to do and see. Weligama is actually the “base camp” for many travellers who want to discover the south of Sri Lanka. You'll have from Natural Parks and Temples, 500 year old forts named World Heritage Sites by UNESCO, tea plantations, astonishing beaches and of course waves, lots of them! Surfing in Sri Lanka is a recent phenomenon as it was not until the 60s that the first surfers started exploring the country's surf spots, meaning that everything is still pretty much underexplored. Weligama Bay and region offers a wide set of beach breaks and some occasional reef breaks, making it a desirable destination for all kinds of surfers, especially those travelling with friends or their better-half. 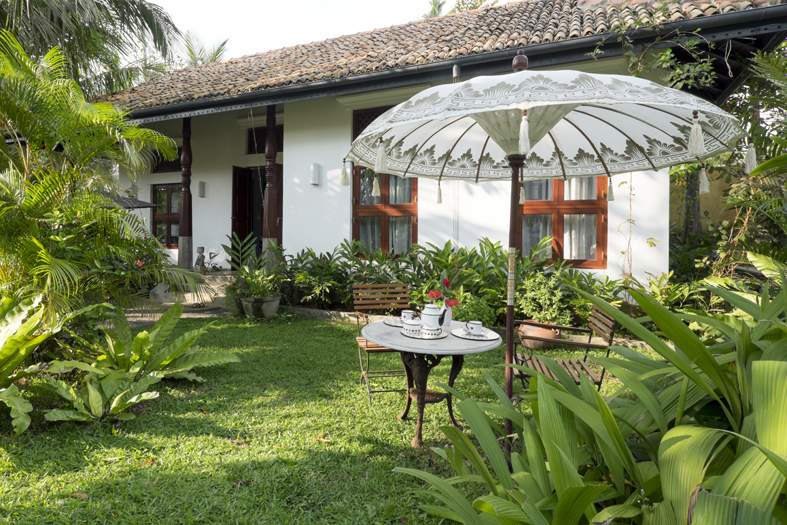 Villa Nelum Surf House was refurbished from a colonial style house, blending the elements of the Sri Lankan's culture with modern days interior design to provide all the comfort one can get on holidays in Sri Lanka. 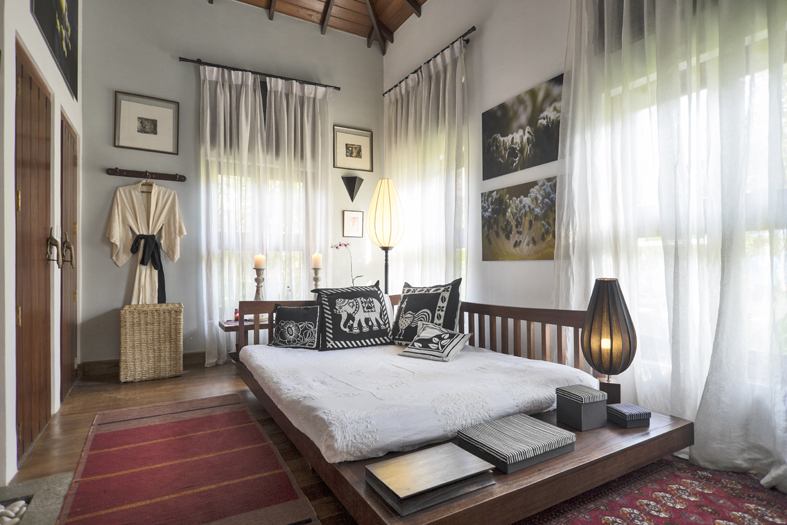 This is not your typical surf house; it’s more like an individual villa offering the same comfort of luxury resorts, while catering for those who want to stay right in front of Sri Lanka’s best surf spots with the best comfort possible. 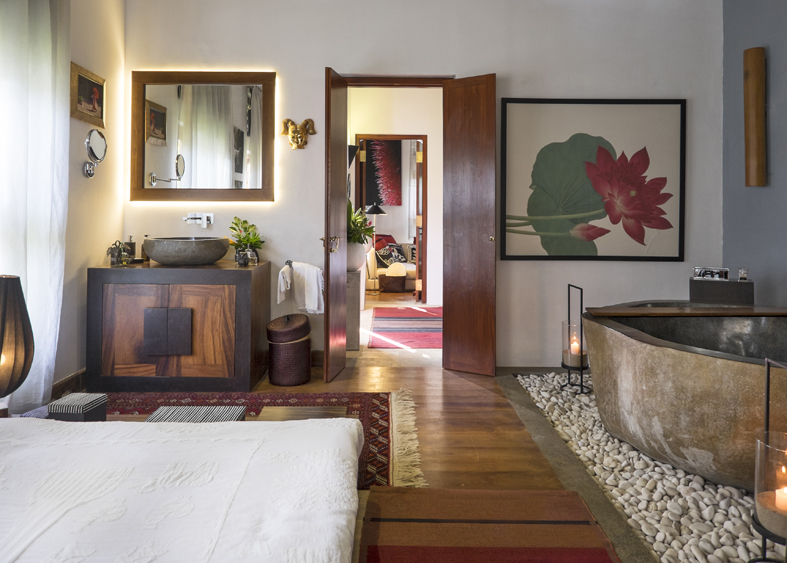 Villa Nelum Surf House features a living room and a one-bedroom with a large bed and a bathroom with a stunning freestanding tub made from a single piece of marble. This villa is ideal for couples and honeymooners who’re looking for some romantic surf holidays, or even a small family as the living room sofa works as an extra bed. 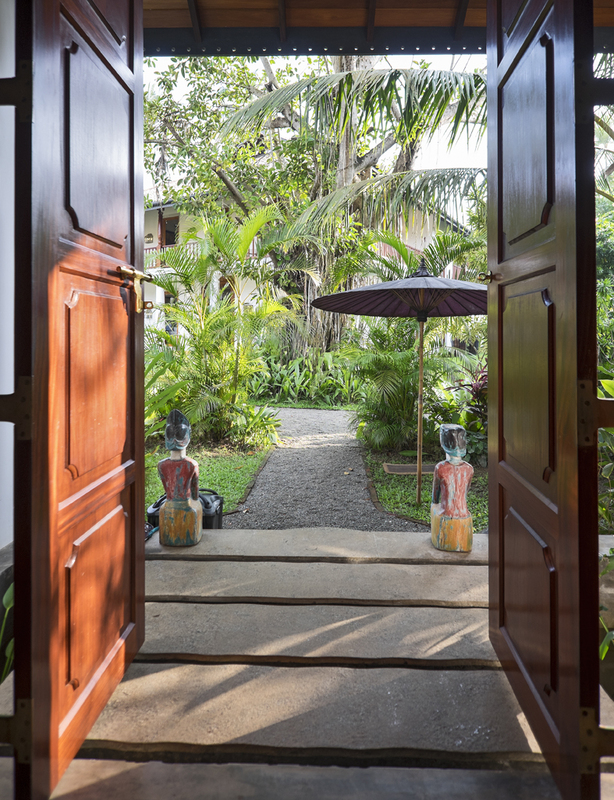 One of the Villa’s amazing features is the terrace that opens up to wide tropical garden, only a few steps from the beach making this the perfect suite for surfers. The views are incredible! 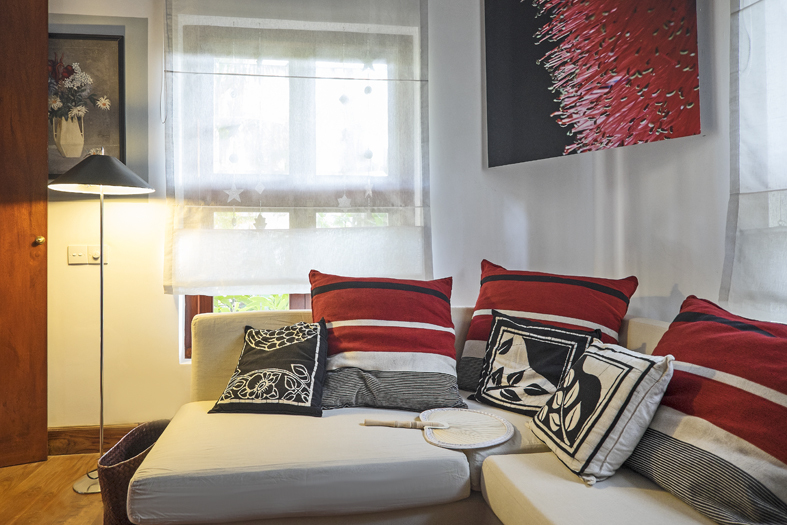 The house offers all the amenities, high speed Wi-Fi Internet and the privacy and space you find on a 5-star hotel. 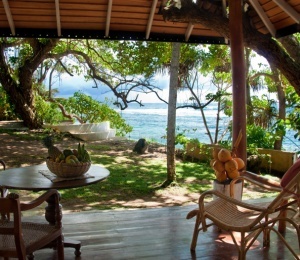 Weligama is probably Sri Lanka’s most popular surfing region and Villa Nelum Surf House is right in front of the beach! 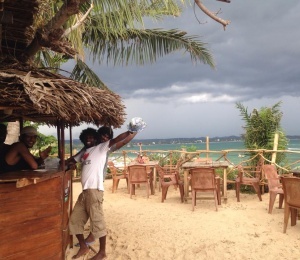 The surf house is just a few minutes walking from many Sri Lanka’s surf spots like Midigama or Crazy Left. 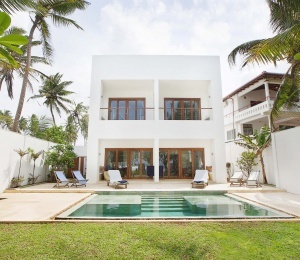 The modern beach villa is completely opened towards a sandy beach pumping some mellow easy waves perfect for beginners and surfers with an intermediate level. Sri Lanka was once known as Ceylon and its beach breaks were most probably well known by the foreign sailors as some of the easiest in the region to anchor. But this does not mean that there aren’t reef breaks too! The great thing about being in Weligama is that you are close to both West and East coasts, hence having access to a huge variety of surf spots which makes it a very interesting destination for all types of surfers, from beginners to real pro’s. Actually most advanced and experienced surfers come to Weligama in Sri Lanka for some pure fun with friends or better half, but also to get away from the crowded surf spots where one is often pressured by other surfers. In Sri Lanka, if the swell is not strong you may end up surfing mellow waves but in such a remote scenery even the smallest of waves will have a special meaning. In addition to that, you have the water temperatures that hardly go below 26º C so leave your wetsuit at home as you travel to this tropical surf destination. SURFINN © 20-04-2019 13:05:37. ALL RIGHTS RESERVED.